Retiring from the banking world at 49, Michael took a complete change of tack when he moved his family from Switzerland to the Chilean Lake District. Having always worked ‘a decent job’; something his father’s viewed as suitable, it was finally time for Michael to fulfil his lifelong dream to build a home in the natural paradise of Chilean Patagonia (he first travelled to this region aged 15 and fell completely in love with the scenery). Finding a location for Hacienda Hotel Vira Vira took time because much of the region is under the protection of the indigenous Mapuche people, but finding a beautiful plot on the shores of the Liucura River was just what he was hoping for, and with no roads or anything around, he began his ambitious project completely from scratch. Five years later, his labour of love can be described as nothing but a success and an inspiration. 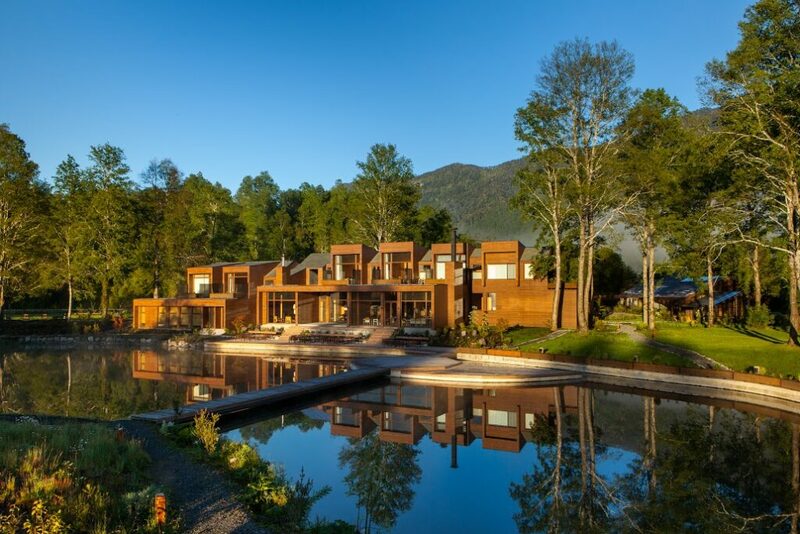 Vira Vira is the epitome of a rural escape, and has gained international recognition for offering an unparalleled experience in the region, providing top-quality farm-to-table cuisine, privately-guided adventure activities, luxury accommodation and an introduction into local life in Patagonia. Now firmly on the map, even more so with the new direct flight from Santiago, Michael recommends to combine Vira Vira with a trip covering southern Patagonia (Awasi Patagonia), the Wine Region (Vina VIK) and a stopover in the capital city of Santiago (The Singular Santiago). Time for a second retirement? Not quite! Michael hinted at his hopes to take the Vira Vira concept to Bolivia’s Salar de Uyuni, and beyond that to Peru and Colombia… watch this space! 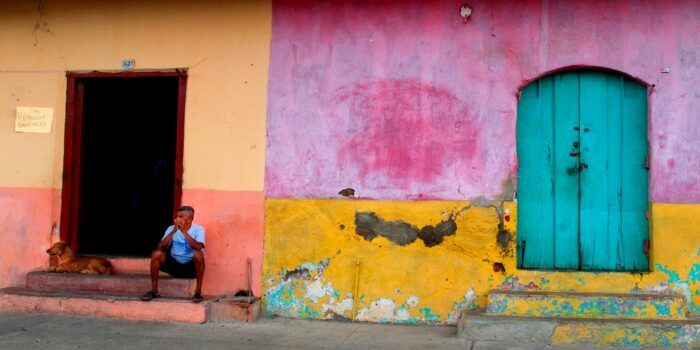 Michael’s charming wife and business partner, Claudia, is the visionary behind Vira Vira’s beautiful interiors. Hiring a team of Mapuche weavers to create unique artwork and soft furnishings for the hotel, Claudia has beautifully styled all of the rooms and social areas, ensuring that even though the spaces are simple and modern, the feel is intrinsically Patagonian. Claudia is also a Hatha Yoga instructor and takes daily classes for guests, ensuring everyone who stays at Vira Vira leaves feeling utterly relaxed and revitalised. Follow up your yoga class with a Vira Vira energy smoothie using fresh, home-grown ingredients. Patricio is Vira Vira’s secret weapon; a charming, professional and passionate concierge who is a true asset to the Vira Vira team. A proud Mapuche (local indigenous tribe), Patricio will soon be featuring on BBC Two’s Amazing Hotels: Life Beyond the Lobby as they take a look at Vira Vira. All the hotel staff had an amazing time showing the BBC team behind the scenes, but Patricio in particular loved introducing them to the indigenous Mapuche culture, taking them to visit local weavers and preparing traditional Patagonian dishes for them to try. Patricio is always delighted to show guests around the hotel and gardens, and offers Hacienda tours to share his passion for Vira Vira’s unique farm-to-table concept. Patricio goes to great lengths to ensure your stay is as comfortable and enjoyable as possible. Michael knew that this region had lots of potential, but as he explored off the beaten path, he discovered the scope for offering a curated menu of outdoor adventures was even greater than he’d imagined. Head guide, Alvaro, runs a team of expert guides, covering a range of half day and full day excursions, both on the property and further afield, with varying levels of difficulty to cater to all interests. Plan South America’s Venetia Martin was guided by Jorge, who has been a part of the Vira Vira team for three seasons. Originally from Ecuador, Jorge grew up in the Cloud Forest with adventure at his fingertips; scaling mountains, rafting down jungle rivers and riding across the sierras. Moving to Chile with his young family, he found the Lake District was the perfect playground, with a variety of terrains and unbelievable natural beauty, from volcanoes to glacial lakes and forests. Jorge took time to talk to Venetia about her interests and how best to experience the region during her stay. There are plenty of hiking opportunities with trails varying in length and difficulty, passing through national parks and monkey puzzle forests, or across volcanic ground, walking through ancient mud and lava flows, or up to stunning 360’ viewpoints of the region’s tallest volcanoes. 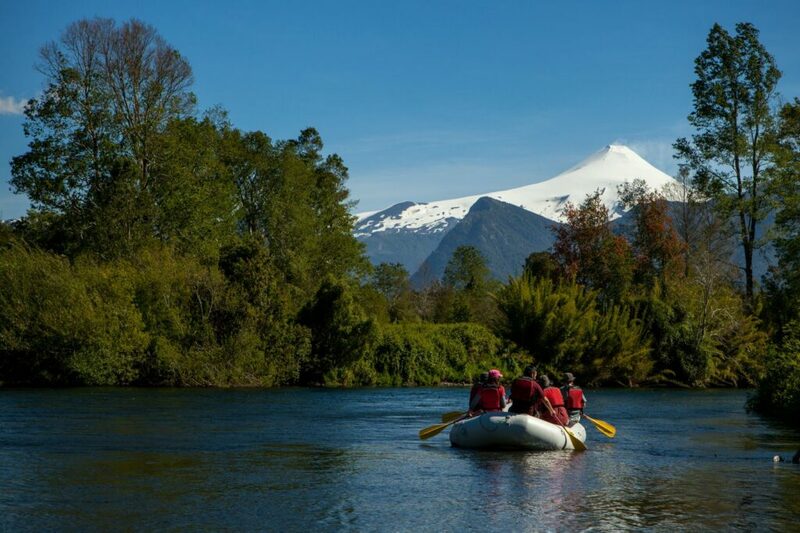 Venetia tried out a beautiful half-day activity, rafting down the crystal-clear Liucura River towars Villarrica volcano (one of the most active volcanoes in South America), with a picnic waiting for her on the river bank at the end. For even more exhilarating rafting, there’s class 3 rapids on the Trancura River nearby. Or for a serious challenge, climb Villarrica volcano with an ice-pick and crampons to reach the crater, and in winter you can descend by sliding down on the snow! Horse-riding and cycling excursions on a nearby private reserve take in picturesque lake district scenery, and for a day of peace and solitude, there’s excellent salmon fishing from December to April (either fly-fishing or spinning). 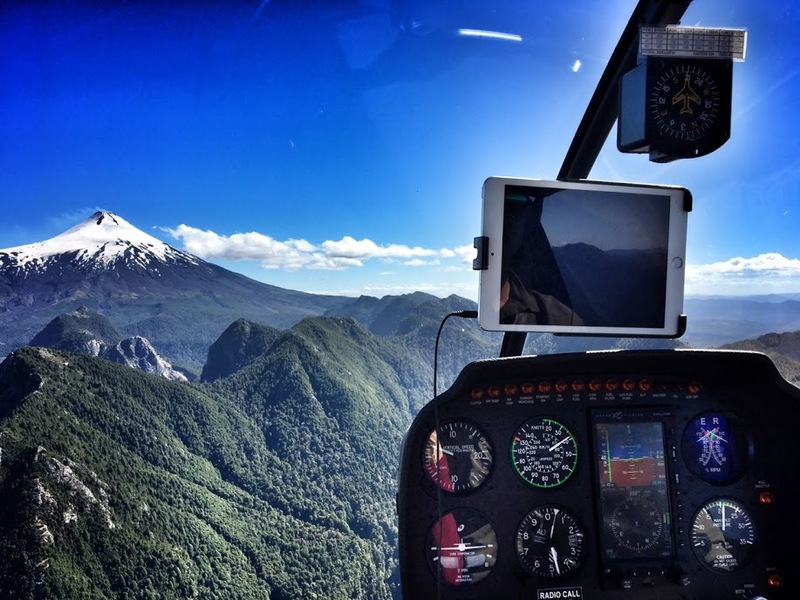 Of all the adventures on offer at Vira Vira, flying high in the sky above Villarrica Volcano in a private helicopter has to be the pièce de résistance. Vira Vira boasts a pair of fabulous helicopters piloted by Alvaro, taking guests on breathtaking rides, stopping in secluded spots for a relaxing dip in hidden hot springs with a glass of bubbly. The sunset helicopter ride is incredibly romantic, landing in an amazing view point for sundowners before returning home for a four-course dinner. Heli-fishing and heli-biking are more recent additions to Vira Vira’s exciting menu of adventure sports, reaching some of the most remote parts of the region. And why not combine your trip to Vira Vira with a few nights on the Argentine side of the Lake District, taking the quickest, most beautiful Andean transfer imaginable across the border in a private helicopter? N.B. helicopter excursions are at an additional cost. Vira Vira’s executive Chef is originally from Uruguay, with a stellar resume having worked at London’s famous Le Gavroche and various other Michelin starred restaurants across Europe. Vira Vira seemed the perfect fit when he decided it was time to return to South America, and the hotel was presented with the prestigious Relais & Chateaux accolade very soon after opening. The fabulous team is made up of 4 chefs, 2 pastry masters who make stunning deserts and chocolates, and 2 bakers who get up at 4am to make fresh bread and croissants for breakfast. This kitchen crew are the magic behind Vira Vira’s reputation as offering one of Chile’s top gourmet experiences. Almost everything is homemade using produce from the farm; expect homemade yoghurt, cheese (9 varieties), butter, ice cream, ricotta, bacon, sausages, and home-grown veggies like peas, asparagus, beans, squash and pumpkins. The 23 hectares of land is used very wisely, and the ground here is incredibly fertile for growing fruit and vegetables. 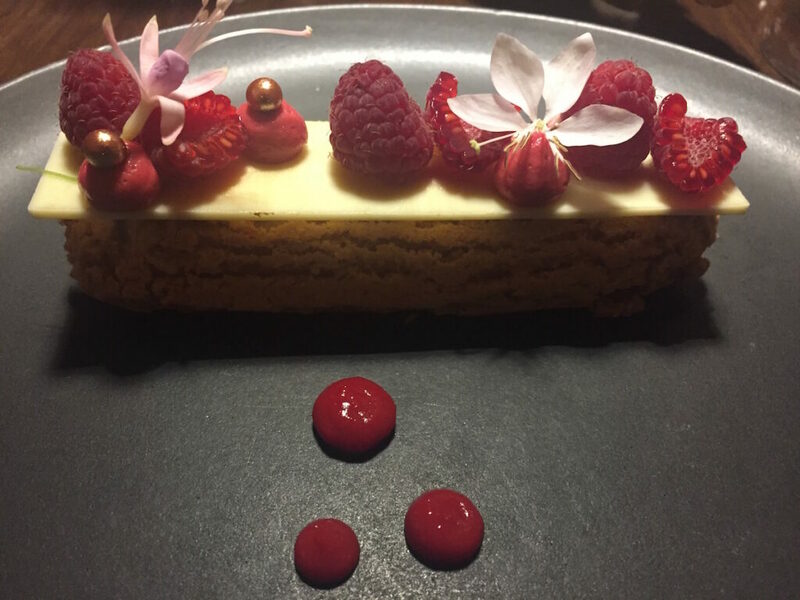 The garden, filled with endemic trees and aromatic herbs, is the treasure of the kitchen staff, who cut edible flowers before each meal to decorate their beautiful dishes. Vira Vira’s cheese factory is the absolute pride and joy of owner Michael, who is absolutely crackers about cheese (!). Dairy production was part of Michael and Claudia’s original plan, and the small on-site factory was opened in January 2014, even before the rest of the hotel opened. 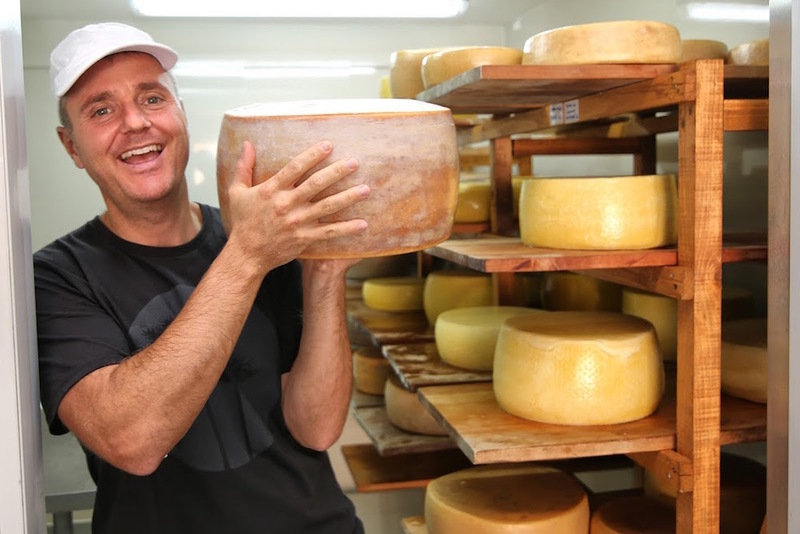 Swiss-Cheese master, Pierre, pours endless love and time into his dairy production, and his patience has paid off now that the first Parmesans he made in 2014 are finally ready to enjoy. Vira Vira has 24 producer cows, 2 calves and 1 bull (key members of the Vira Vira team). Guests are shown around the cheese factory’s huge refrigerated containers, getting a peak at the huge wheels of slowly maturing cheeses, learning about the process from start to finish, and seeing how this differs with the soft and hard cheeses they produce. Of course, a highlight is sampling the delicious produce afterwards. Vira Vira has always aimed for quality produce over quantity, and don’t sell any of their cheese, keeping it as an exclusive treat for hotel guests.